Arrive at Entebbe Airport where you will be met by our representative and transferred to Kampala for the over night at Cassia lodge or Tourist Hotel. Leave Kampala at 0800hrs. Drive through the famous luwero triangle. Take a stop over at Fort portal town for lunch before driving to Ndali Lodge/ Rwenzori View Guest House. Optional: You can choose to relax after checking in or go for a guided walk in Bigodi Swamp to look out for different bird species. Dinner and overnight at Ndali Lodge/Promate Lodge/Kanyankyu Ecological Site. This morning, you will go for chimp tracking and be part of the habituation team that goes to study the behaviour of these primates in order to make them get used to human beings. Spend the whole morning in the forest returning to the lodge in time for lunch. 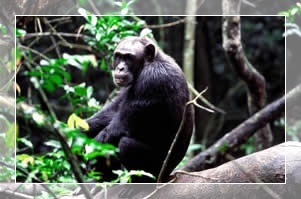 Later in the evening, you will have the opportunity of a guided walk to look out for other primates, butterflies and birds. A network of shady forest trails provides much to delight botanists and butterfly lovers, while birders are in for a treat. Return for dinner and over night at either Ndali lodge, a stunning location overlooking a dramatic Crater Lake and the fabled "Mountains of the Moon"/ Primate Lodge/ Kanyankyu Ecological Site. After breakfast, you will depart Kibale and then head for Queen Elizabeth National Park. You will have a game drive while entering the park arriving in the afternoon. After having your lunch, you will go for an early evening game drive. Its little wonder that Queen Elizabeth boasts one of the highest bio diversity ratings of any game park or reserve in the world, - from the open Savannah to Rain Forest, dense Papyrus Swamps and brooding Crater lakes to the vastness of Lake Edward. 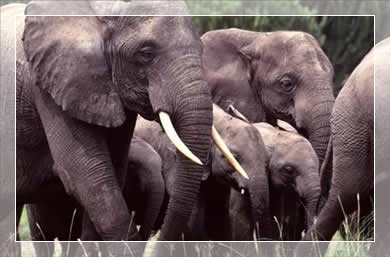 Almost 100 mammal species that include Lions, Hippos, Buffaloes, Leopard, Spotted Hyena, Elephants and the elusive Giant Forest Hog plus remarkable 606 bird species that include the Black Chested Eagle, the Swallow Tailed Bee Eaters among others. Retire for dinner and overnight at Mweya Lodge/ Jacana safari Lodge (High end/luxurious accommodation), King fisher Lodge Kichwamba/Hill Top Camp (Medium class accommodation) or the Institute of Ecology Cottages (Low budget/basic accommodation). Early in the morning, report to the ranger station at 08.00 am to track the habituated apes in Kyambura gorge returning to the lodge in time for your breakfast. Relax and then later go out for the afternoon boat trip along the Kazinga Channel. Hippos huff and spray mere feet away from the boat, Buffalos linger in the shallows, a tremendous variety of birds grace the grasses on the shores. Great White and Pink-Backed Pelicans, Great and Long-Tailed Cormorants, Open-Billed Stork, African Jacana, Malachite and Pied Kingfishers are commonly seen. Dinner and overnight at Mweya Safari Lodge/ Jacana Safari Lodge/ Institute of Ecology. Day Six: Queen Elizabeth - Bwindi Impenetrable National Park. After breakfast, drive through the “Switzerland of Africa” area known as the Kigezi Highlands with its terraced hillside and winding roads to Bwindi. 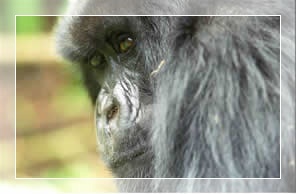 Bwindi National park is best known for its Mountain Gorillas. The Montane Forest also attracts spectacular birds including the African Green Broadbill, Bar Tailed Trogon and other beautiful forest species. 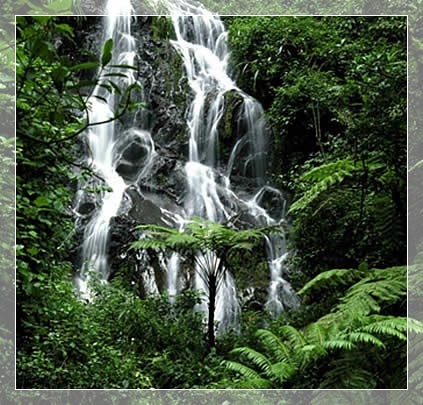 Optional: You may decide to relax in the afternoon or take a nature walk (at an extra cost of $10 per person) which will lead you to the Munyaga Waterfall and a chance to see primates such as the Grey Cheeked Mangabey Blue Monkeys and others species. Dinner and overnight at Gorilla Forest Camp / Mantana Tented Camp/ Lake Kitandara’s Tented Camp/ Buhoma Homestead/ the Community Bandas. Early morning entry in to the Gorilla sanctuary. Before 8.00 am report to the ranger station for registration and a talk by one of the rangers. The guides will then take you through the bush pushing your way through the undergrowth to track the gorilla. The time taken and the terrain vary according to the movements of these marvellous primates. 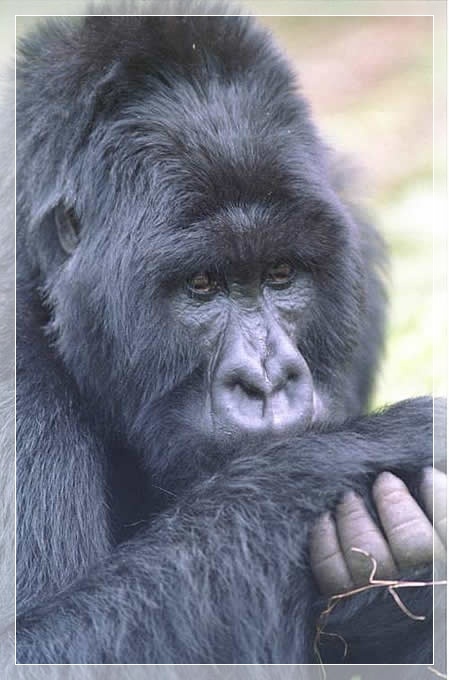 The thrill of spending time and observing the gorillas is a rare, moving, awesome and exciting adventure. In the afternoon, relax at the camp or go for a Village walk to visit the Local Batwa Community returning to the Camp in the evening. Dinner and over night at Gorilla Forest Camp / Mantana Tented Camp/ Lake Kitandara’s Tented Camp/ Buhoma Homestead/ the Community Bandas. 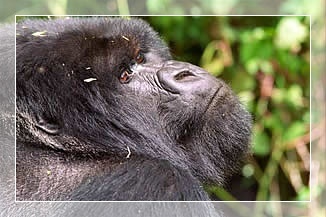 After breakfast, you will proceed to Lake Mburo National Park passing through the Switzerland of Uganda (Kabale) with beautiful scenery and terraced farming arriving at Lake Mburo National Park in the afternoon. Optional: After lunch, you may decide to go for a boat trip or relax in your room. 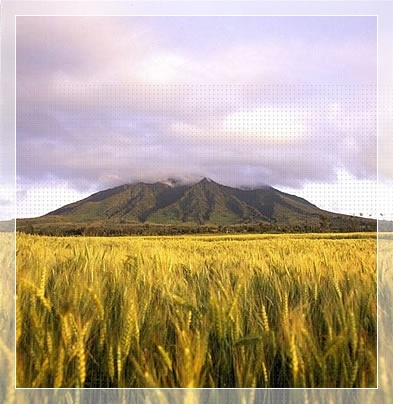 Lake Mburo is an extension of the Tanzanian Plains with big herds of Zebra, Impala, Eland and other savannah species. For birders, this is one of the best place to find African Fin foot, Papyrus, Bush Shrike, etc. 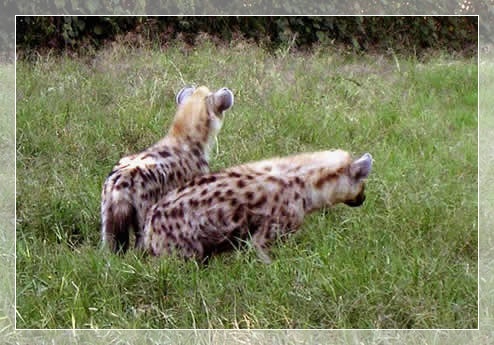 Go for an evening game drive and over night at Mihingo Lodge/Mantana Tented Camp/UWA’s Tents. After breakfast, have a game drive and then proceed to Kampala having a stop to look at the Royal Drum makers arriving in Entebbe in the evening. Dinner and over night at Boma Guest house/ Golf View Inn. After breakfast, you will take a boat at 9.00 am from Entebbe pier and then head for Ngamba Island returning in the afternoon be transferred to the airport and later fly out depending on your departure time.